This tutorial will help you start sending analytics data from your iOS app to Segment. Once you’re done you’ll be able to turn on any of our destinations with the flip of a switch! No more waiting for App Store approval. If you want to dive deeper at any point, check out the iOS Library Reference. Note: At the moment we can’t support tracking of watchkit extensions for tha Apple watch. Email us if you’re interested in a watchkit SDK. 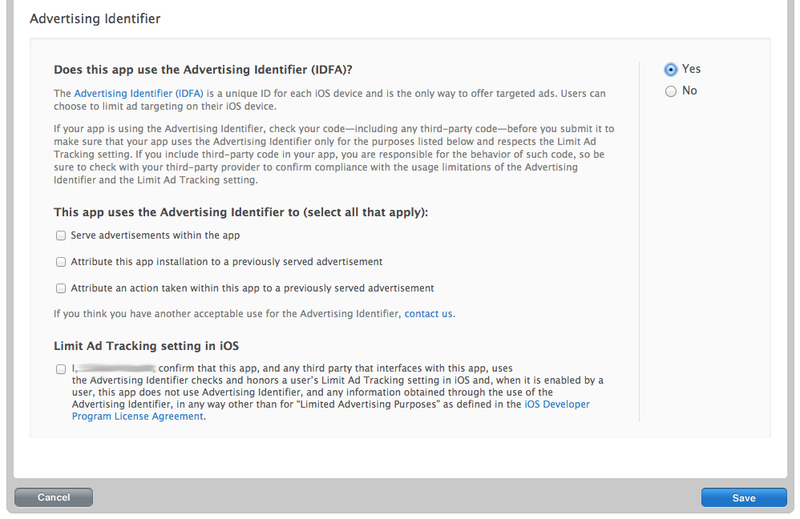 For now we recommend tracking watch interactions via the native iPhone app code. The recommended way to install Analytics for iOS is via Cocoapods, since it means you can create a build with specific destinations, and because it makes it dead simple to install and upgrade. configuration.trackApplicationLifecycleEvents = YES; // Enable this to record certain application events automatically! configuration.recordScreenViews = YES; // Enable this to record screen views automatically! Note: Automatically tracking lifecycle events (Application Opened, Application Installed, Application Updated) and screen views is optional via initialization config parameters, but highly recommended to hit the ground running with core events! See below for more info! In the interest of keeping our SDK lightweight, the Analytics pod only installs the Segment destination. This means that all your data will be sent via Segment’s servers to any tools you’ve enabled with server-side-compatible destinations. You’ll likely want to bundle some additional destinations client side. Many advanced marketing automation and analytics tools will offer the option of including their SDK or electing to send data server to server depending on the features you need. Most optimization, deep linking, error tracking, and survey tools must be included on the device to leverage their core feature set. In those cases, you’ll need to take some additional steps as shown in the source documentation here. The identify method is how you tell Segment who the current user is. It takes a unique User ID and any optional traits you know about them. You can read more about it in the identify reference. That’s identifying Michael by his unique User ID (the one you know him by in your database) and labeling him with name and email traits. Hold up though! When you actually put that code in your iOS app, you’ll need to replace all those hard-coded strings with details about the currently logged-in user. The track method is how you tell Segment about which actions your users are performing inside your app. Every action triggers what we call an “event”, which can also have associated properties. You can read more about track in the track reference. To get started, our SDK can automatically track a few key common events, such as the Application Installed, Application Updated and Application Opened. Simply enable this option during initialization. You’ll also want to track events that are indicators of success for your mobile app, like Signed Up, Item Purchased or Article Bookmarked. We recommend tracking just a few important events. You can always add more later! Once you’ve added a few track calls, you’re done! You successfully instrumented your app! Now you’re ready to turn on any destination you fancy from our interface, margarita in hand. You can set the number of events should queue before flushing. Setting this to 1 will send events as they come in (i.e. not send batched events) and will use more battery. 20 by default. Note, you should not check the box labeled “Serve advertisements within the app” unless you are actually going to display ads. We just walked through the quickest way to get started with Segment using Analytics for iOS. You might also want to check out our full Analytics for iOS reference to see what else is possible, or read about the Tracking API methods to get a sense for the bigger picture.